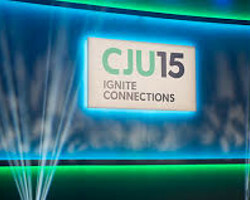 ST. LOUIS, MO — (September 16, 2015) – LashBack, a leader in compliance monitoring and business intelligence for email marketers, is pleased to announce that the company’s CEO, Peter Wilson, will be participating on a compliance panel at the October 2015 CJ University event in Santa Barbara, California (www.cjuniversity.com). With sponsors like Sears, Home Depot, Hotels.com and American Express, CJ University has established itself as the premier opportunity for networking and content among digital advertisers. The compliance panel will be moderated by Jeff Randsell, Director of Compliance for CJ Affiliate by Conversant (formerly Commission Junction). In addition to Peter Wilson, the panel will include Dave Naffziger, the CEO of BrandVerity; Linda Goodman, a well-known industry attorney; Adam Viener, the founder of Imwave and Yazing.com; and David Lewis, formerly of Shopzilla and Ebates. LashBack provides unique intelligence to digital marketers and has a long-standing commitment to industry best practices. With a focus on email marketing, we provide advertisers, agencies and networks with the ability to monitor the behavior of their partners and unmatched business intelligence. We use our technology, data and experience to help marketers protect and grow their businesses. We are proud members of the Online Trust Alliance, the LeadsCouncil and the Performance Marketing Association. If you would like more information or to get a demonstration, please visit www.lashback.com. Conversant, Inc. is the leader in personalized digital marketing. Conversant helps the world’s biggest companies grow by creating personalized experiences that deliver higher returns for brands and greater satisfaction for people. They offer a fully integrated personalization platform, personalized media programs and the world’s largest affiliate marketing network—all fueled by a deep understanding of what motivates people to engage, connect, and buy. www.conversantmedia.com.